Early in his education at Western Michigan University, Larry wrote a paper detailing his method for getting newly imported snakes to eat domestic food. As mortality rates for many snakes was far too high, this article caught the eye of famed animal collector Frank “Bring ‘em Back Alive” Buck. Buck offered him a job at the historic 1939 World's Fair in New York City that drew upwards of 44 million visitors. Concerned about his education as he was only in his sophomore year, he consulted his professors. Larry was wisely advised that colleges will always be around, but Frank Buck is probably only going to ask once. So Larry left Michigan for New York to accept Buck's offer. Along with caring for Buck's giant constrictors and other deadly snakes, Larry also got his first exposure to big cats. 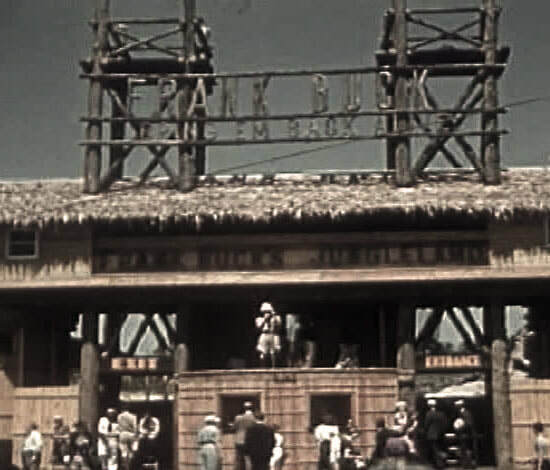 The elaborate thatched entrance to Frank Buck's Jungleland attraction at the famed 1939 World's Fair in New York City. ​Around this time, Larry headed south to Florida where he explored the swamps and wild areas of the state including seeing the Everglades a decade before it was protected as a national park. He also worked on alligator farms including Ross Allen's Reptile Institute. During World War II, Larry worked as a civilian on MacDill Air Force Base in Tampa doing fire/rescue using experience he had gained as a volunteer fireman in Kalamazoo. 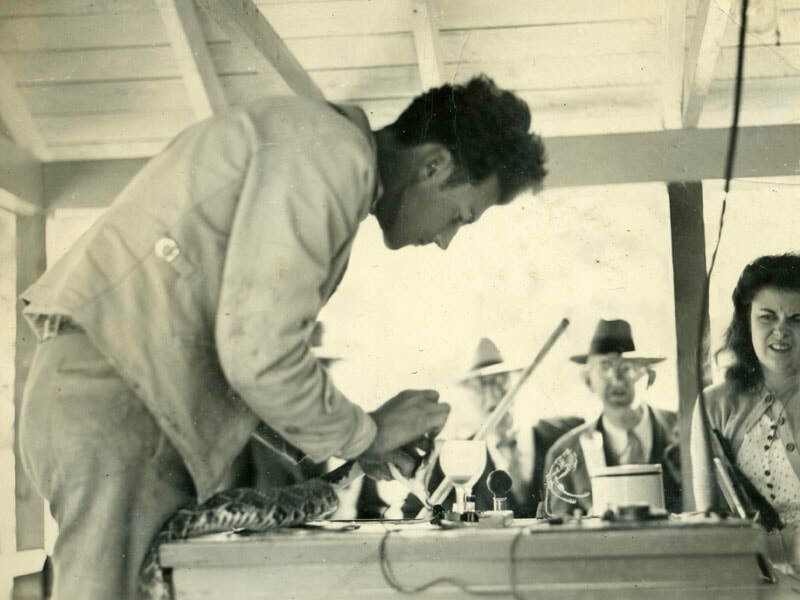 He also milked thousands of venomous snakes for Wyeth Labs. The U.S. government had contracted the pharmaceutical company to make medicine from the deadly serum for the war effort. After the war, Larry moved back north. Larry (at left) on the set of what would eventually be released as Tarzan Finds a Son with Ross Allen and the iconic Tarzan actor, Johny Weissmuller. Larry at Silver Springs filming for Tarzan Finds a Son. Larry milking a rattlesnake in Florida.